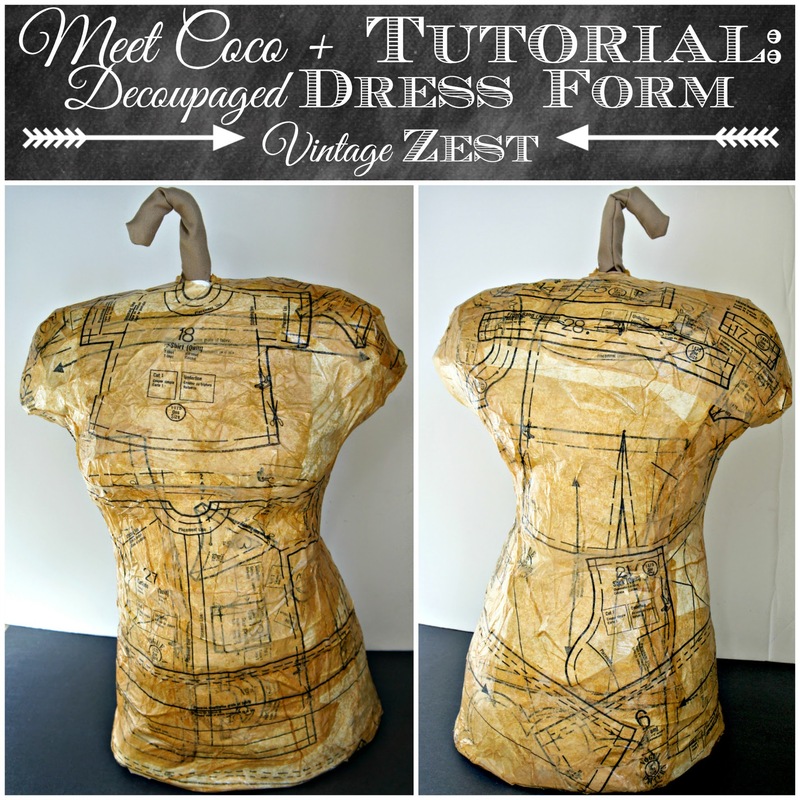 Tutorial: Decoupaged Dress Form + Meet Coco! ~ Diane's Vintage Zest! 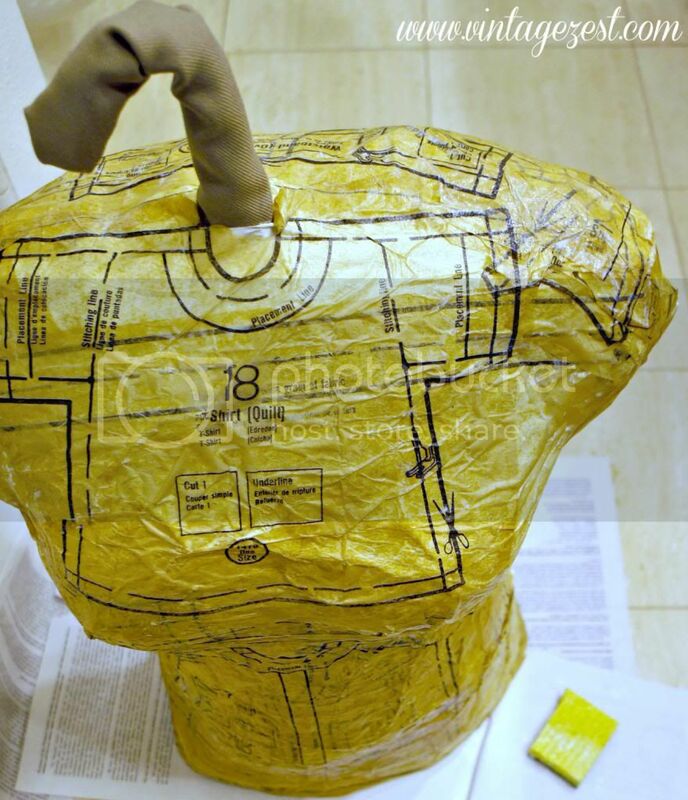 Tutorial: Decoupaged Dress Form + Meet Coco! Meet Coco! As you might have noticed, the last two names were named after the color of the tape I used: Jade was green and Lily is white. Therefore, I wanted to think of a name that would evoke a brown or tan color, and Coco came to mind. Not only is that the perfect name for my theme, but I love that it reminds me of Coco Chanel! 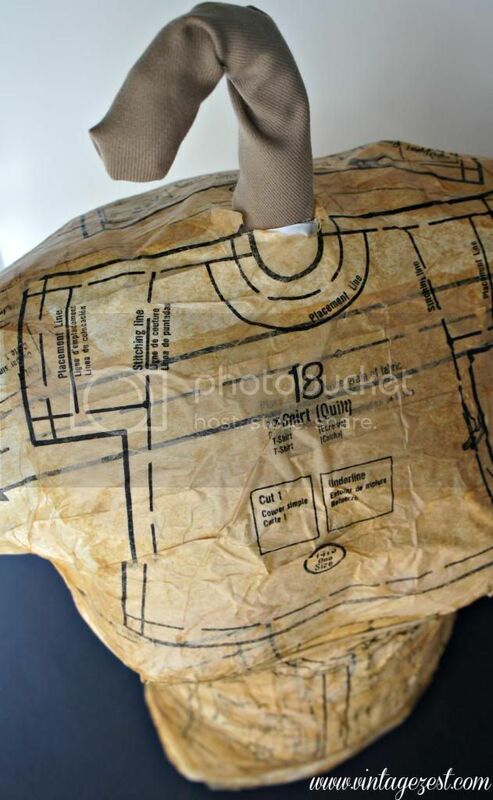 Make sure to check out the tutorial on how to make your own decoupaged dress form below plus some detailed pictures. Enjoy! 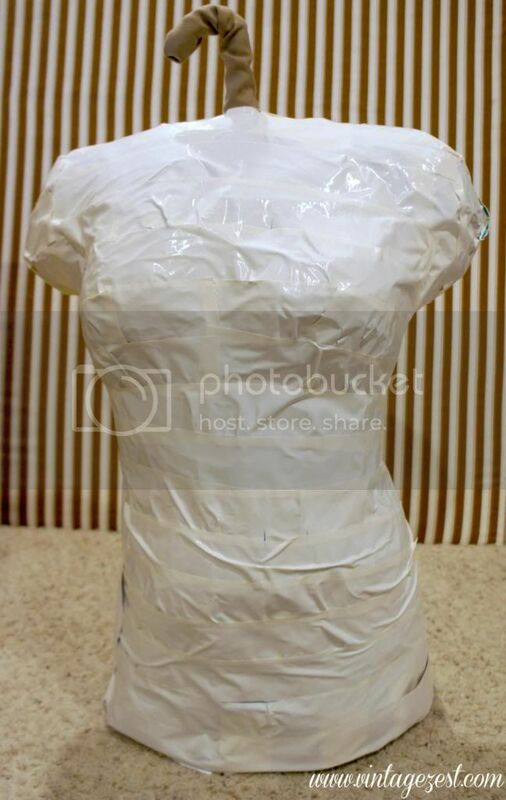 By the way, I am not sure how this would work on other dress form surfaces or as a functioning dress form, but this is meant to be more of a decorative piece since I already have Lily. I am so looking forward to displaying this in my new guest bedroom craft room! Just a couple of pictures before we get to the tutorial. Last I left you, Jade was slightly falling apart since I did not stuff or tape her properly. By the time I picked her up from the corner, the seam had completely fallen apart. Yeesh! My niece was over, so she helped me! First, we taped up the back with short sections, and then we placed a long strip up and down the "spine," which I forgot to photograph. Let's get to the tutorial now! 1. 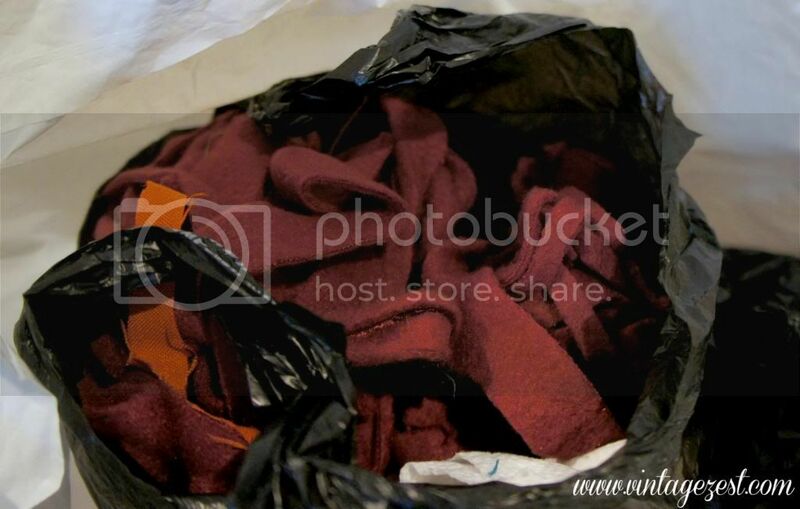 Cover the hanger with strips of fleece. Mine were scraps from this jacket! 2. 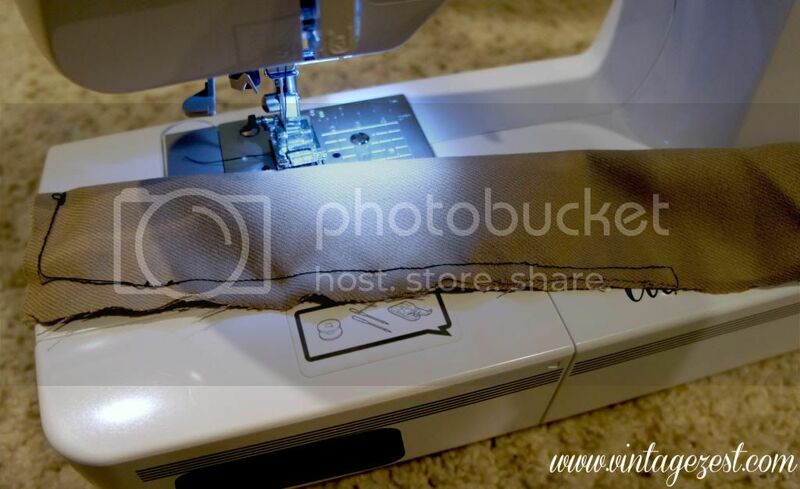 Make a simple tube of fabric with one closed side. I used scrap fabric from this vest! 3. Shimmy the tube of fabric on to the hanger. 4. Now gather your supplies. I planned out where I wanted a few of the sewing pattern pieces to lie on the final dress form, so I placed them on the bottom of the pile. 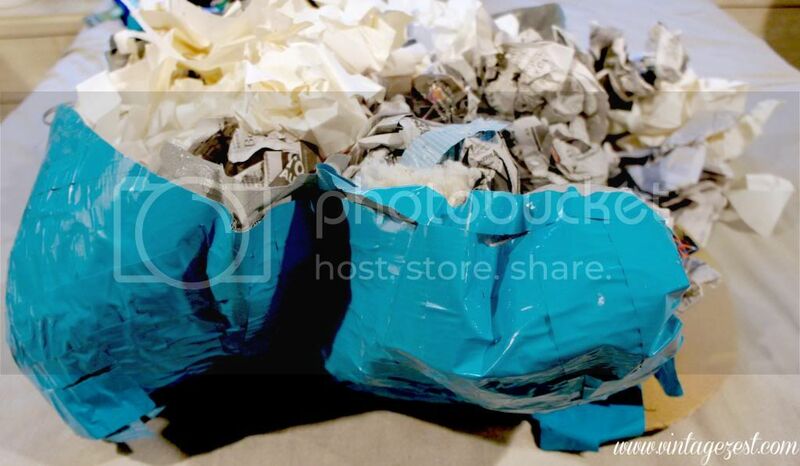 Remember, you will be working from bottom to top, and you will probably want two to three layers of sewing patterns to "hide" your duct tape. 5. Working very slowly and gently, adhere the sewing pattern pieces with the Mod Podge, making sure not to rip the paper. You will want to moisten the paper by dabbing the glue on with the brush, but do not use a sweeping motion or put on too much glue. Of course, it can all be fixed by layering on another piece of pattern paper! And that's it! Personally, I used a couple of old patterns that were left behind by someone in the sewing class. Two were for a quilt and doll clothes, and there other one was for a very ugly top. But no one will ever know because I think it looks fantastic! What do you think? 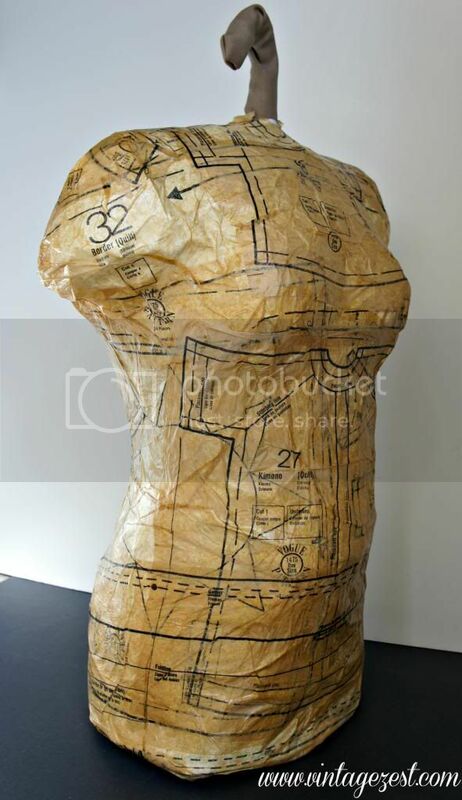 Will you make your own decoupaged dress form? 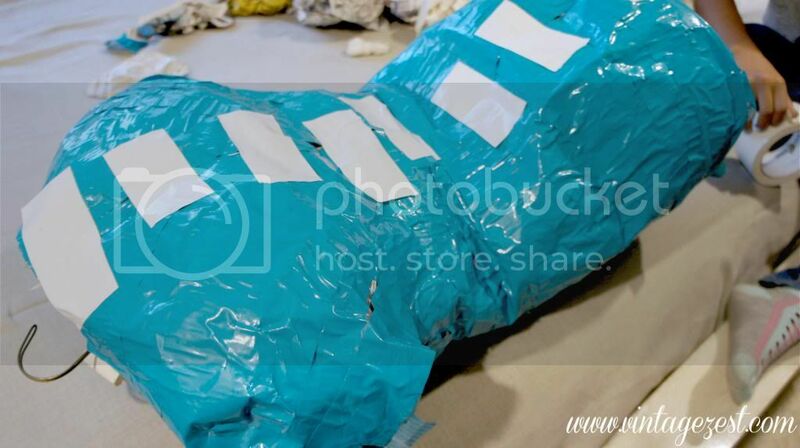 I made one out of duct tape a couple of years ago, but it is nowhere near as nice as yours! It's beautiful Diane! 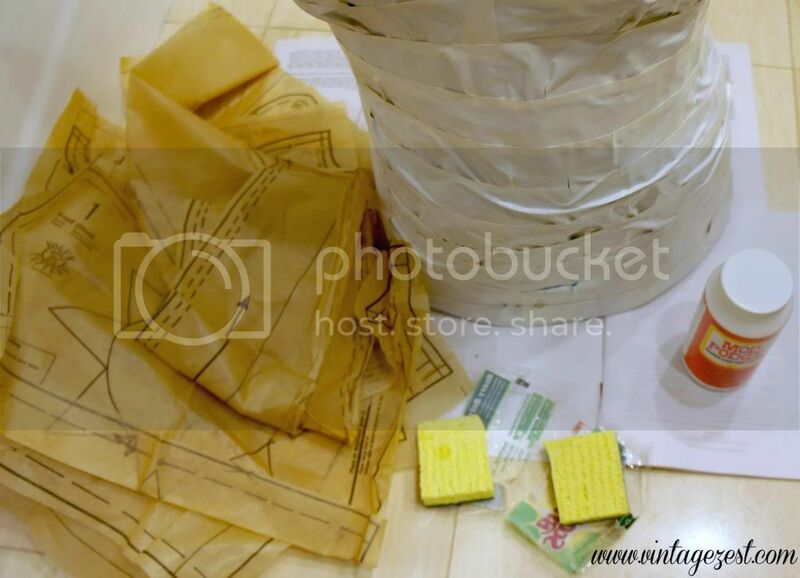 I love the idea of using old sewing patterns for decoupage. O, my gosh, I love this. I want a dress form so badly. It's on my list to make for sure. PINNING. Thanks so much for sharing your creativity with us at Show-Licious Craft & Recipe Party! Hope you will join us again on Saturday morning! Thanks so much! 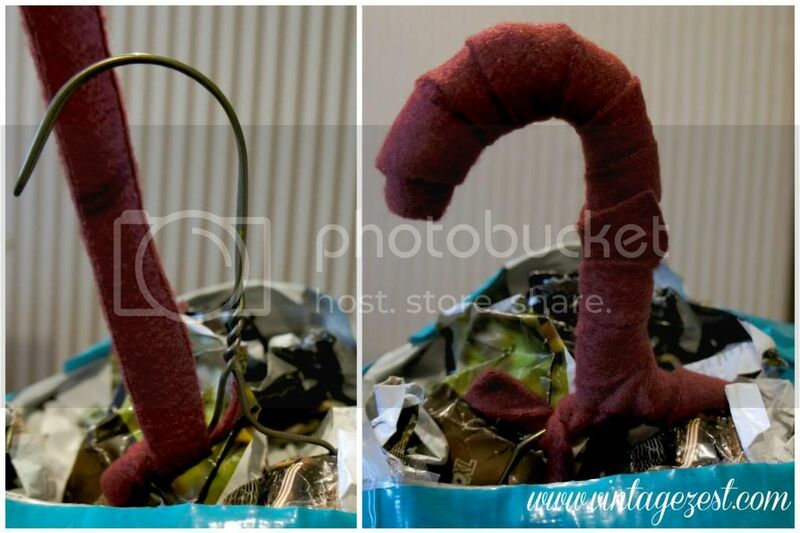 Well you can see what kind of shape it WAS in! 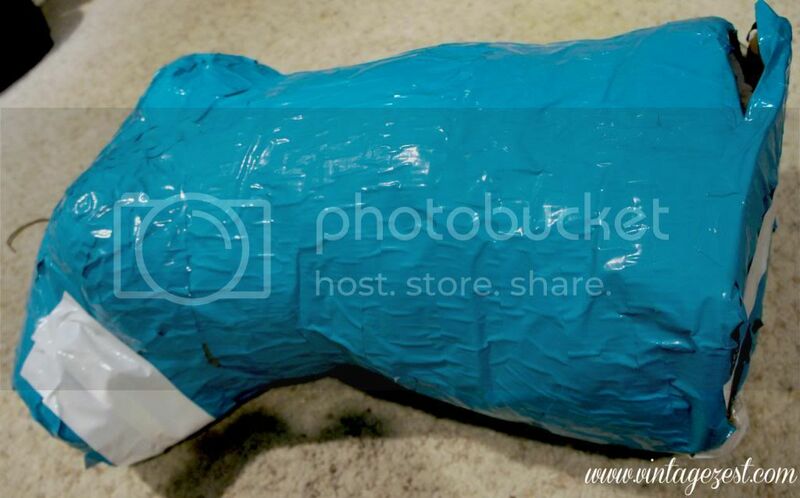 Wow, I never would have guessed that the base form was created from duct tape, how creative !